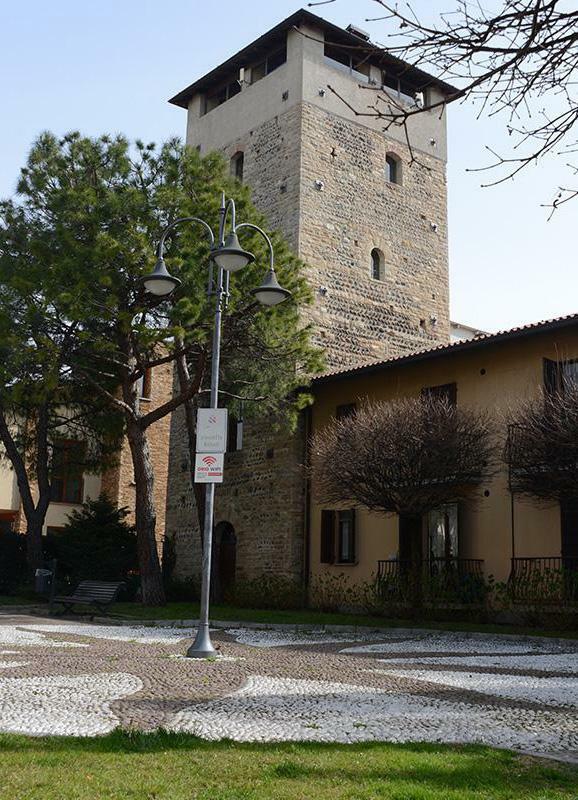 The small and quiet town of Orio where Stile Libero is located provides all the necessities (Supermarket, bank, post office, pharmacy) with good restaurants, pizzerias and trattoria. The old “village” of Orio al Serio (241 m above sea level) has been populated since the fourth century B.C. by the Ligurians and then the Etruscans, later becoming an important Roman crossroad. It’s success is tied to its geographic location: Orio al Serio is secluded, off the beaten track, half-way between the hills and actual Bergamo plains. In 1233 Orio became an independent town when the territory of Bergamo was divided into four “fagge” or districts at the four gates to the city. For a long time the counts of Martinengo Colleoni, heirs of the famous captain of fortune, Bartolomeo Colleoni, feuded. Today, the town of Orio al Serio www.comune.orioalserio.bg.it includes a small old town that resisted over the years around the Medieval Civil Tower and Church (dedicated to St. George the Martyr, built around 1500 and altered in 1700). The rest of the town is divided into small and quiet residential quarters that replaced the old rural buildings.